The probe into the Artha Tatwa scam could see many other similar scams tumbling out. On October 20, the High Court rejected the anticipatory bail plea of former government chief whip and BJD MLA Pravat Tripathy in the Artha Tatwa chit fund scam. On Saturday, the CBI interrogated him, for the fourth time, about nomination of chit fund group chief Pradeep Sethy for a state-sponsored cooperative award. So far, there have been several high-profile arrests, including that of former advocate general Ashok Mohanty. But the probe into the Artha Tatwa scam could see many other similar scams tumbling out. In November 2010, Pradeep Sethy, a 32-year-old computer science diploma holder from Ganjam district, left his sales job at an insurance company to start 9 firms under the Artha Tatwa Group that had interests in cooperative society, housing, infrastructure, insurance, equity management, healthcare, knowledge process outsourcing, information technology, computer hardware products (including a laptop brand called Systematix), food products, retail and security. The group promised the moon to customers, including houses at cheap rates in Bhubaneswar, Balasore and Berhampur to starting a cooperative bank. The group, registered under the Companies Act and the Multi-State Cooperative Societies Act, collected money from small investors in Orissa with a promise of high returns ranging from 15 to 20 per cent. Less than a fortnight after he started his company, the state cooperative department named him the ‘Best Young Cooperative Person’. By 2012, a year after he started Artha Tatwa, Sethy had risen in affluence. He rode cars, travelled abroad, hosted glitzy parties in Mumbai, invested in real estate in Kolkata and funded TV serials and Oriya films. Some of the earliest investors got their money, but soon, the payments dried up. In February 2013, some of the investors filed an FIR against Sethy at the Balasore police station. By then, he had reportedly collected Rs 500 crore from the public. He was arrested in May last year and since then has been in jail. The Supreme Court has estimated the chit fund scam in Orissa to be worth Rs 4,600 crore, almost two times the Saradha scam in Bengal. But officials peg it over Rs 20,000 crore. How was Sethy flouting rules? Artha Tatwa was registered under the Multi-State Cooperative Societies Act, 2002. The Act prohibits societies from raising money from the public or promising schemes with financial returns — just what Artha Tatwa did. Sethy also exploited loopholes in the Orissa Self-Help Cooperative Act. The Act, framed in 2001 by the Naveen Patnaik government, was meant to give a fillip to the cooperative movement in the state, but it instead gave rise to scores of chit fund companies. Till March 31 last year, there were 979 credit and multipurpose self-help cooperative societies or chit funds registered under the Act. The Act was repealed last year. How did Artha Tatwa come under the scanner? In May this year, when the Supreme Court ordered a CBI probe into the Saradha Group scam in Bengal, it asked the CBI and the ED to look into 44 companies/firms in Orissa that had collected thousands of rupees from investors. Artha Tatwa was one of them. Though it is not the only such firm or even the biggest — others such as Seashore and Green Ray have cheated people of more money — it hogged the limelight because of the big names that were associated with it. Who are these big names? Former BJD chief whip Pravat Tripathy may become the first BJD politician to be arrested after the High Court turned down his anticipatory bail petition. The CBI has in its possession a tape conversation between Tripathy and Sethy with the former allegedly demanding money for organising a festival. The CBI has also interrogated BJD MLA Pranab Balbantray over his financial transactions with the Artha Tatwa group. 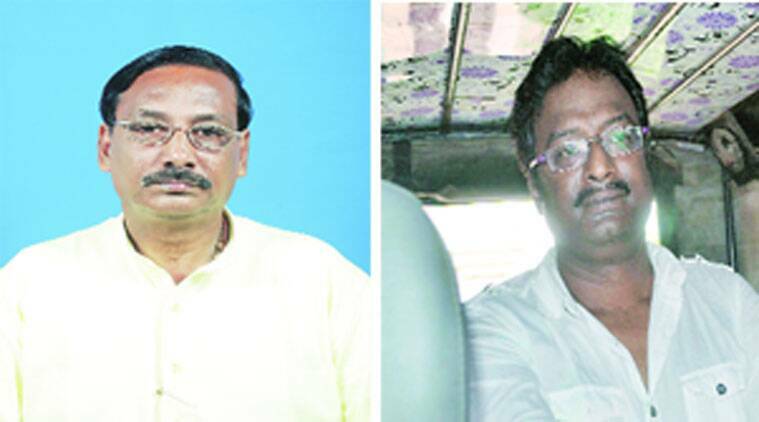 Last month, former advocate general Ashok Mohanty was arrested, and later released on bail, over a dubious transaction with Sethy in the purchase of a two-storeyed house in Cuttack. So far, the CBI has made 10 arrests, including that of model and TV serial producer Preeti Bhatia. Will there be more revelations? At least 44 chit fund firms in the state are being probed. The CBI has now begun cracking down on another chit fund group, Seashore. Earlier this month, Excise Minister and senior BJD leader Damodar Rout sparked a controversy when he said Seashore enjoyed government patronage and named expelled BJD MP Pyari Mohan Mohapatra as the man who helped the firm. Some of the allegations may ring true as Seashore did have partnerships with the government in healthcare, tourism and the cooperative sector. Like Saradha in Bengal, Seashore too started a news channel in Orissa, recruiting young journalists with high salaries. It reportedly recruited the wife of a senior CID officer for a show on astrology. The channel wound up last year, leaving hundreds of its employees jobless. There have also been raids at the homes of BJD’s Mayurbhanj MP Ramachandra Hansda, BJD’s Keonjhar MLA Subarna Nayak and former BJP MLA from Khariar, Hitesh Bagarti. All three were allegedly involved in Nabadiganta Capital Service Ltd, another chit fund company that the CBI is investigating. What are the political ramifications for the BJD? With ruling party politicians being sucked into the probe, the scam may dent the BJD’s rural votebank ahead of the 2017 panchayat polls. Last year, the state government had announced a Rs 300-crore corpus fund to return money to the duped investors. It even enacted the Orissa Protection of Interests of Depositors Act to facilitate the return of money. But the Act is yet to define ‘small investors’ and returning money may prove difficult considering that most of the money was deposited in cash and not by cheques. Around 9 lakh affidavits by as many investors are lying with the Justice R K Patra Commission of Inquiry that was set up by the government last year to probe the scam.